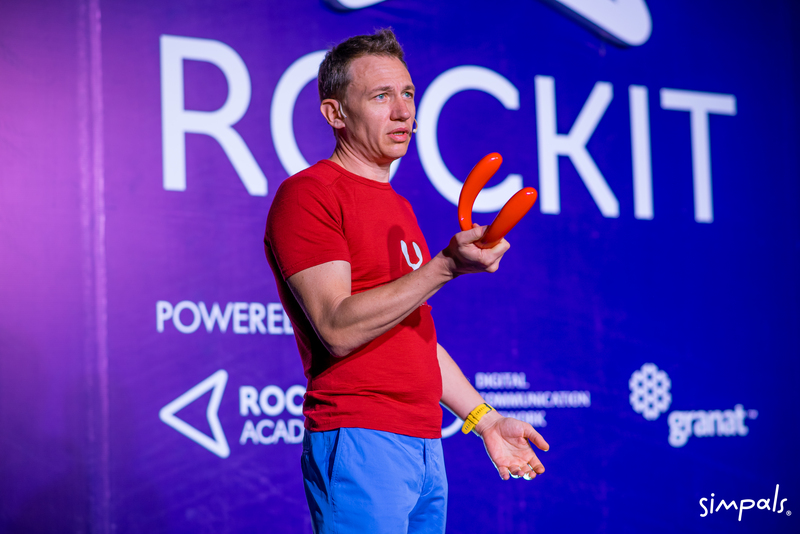 The father of the Lobster project, Dmitri Voloshin, attended Rockit Moldova 2018 – the international conference, held in Chisinau today, April 27. 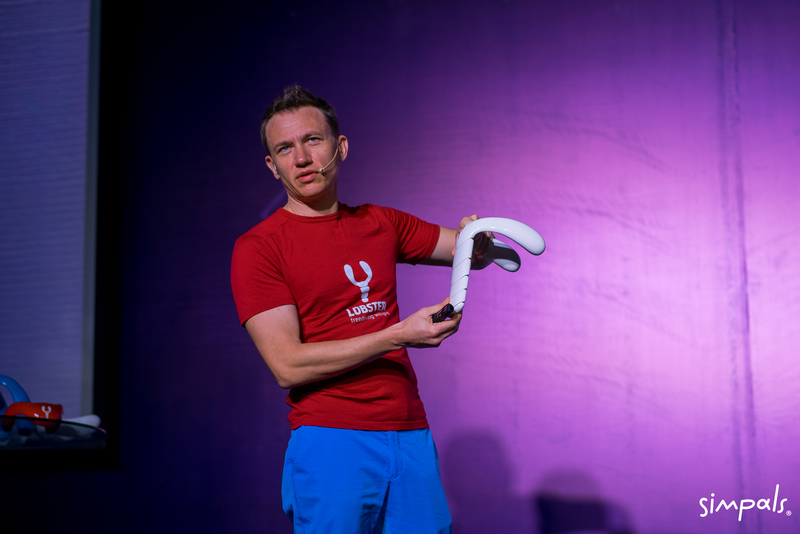 In his speech, Dmitri spoke about how the idea of creating Lobster appeared, the difficulties the project team had to overcome, and the process of implementing the idea into a final product. According to him, the present-day world and technologies allow to open a business in Moldova and trade with the whole world. „Now we’re selling Lobster to freedivers in 43 countries. 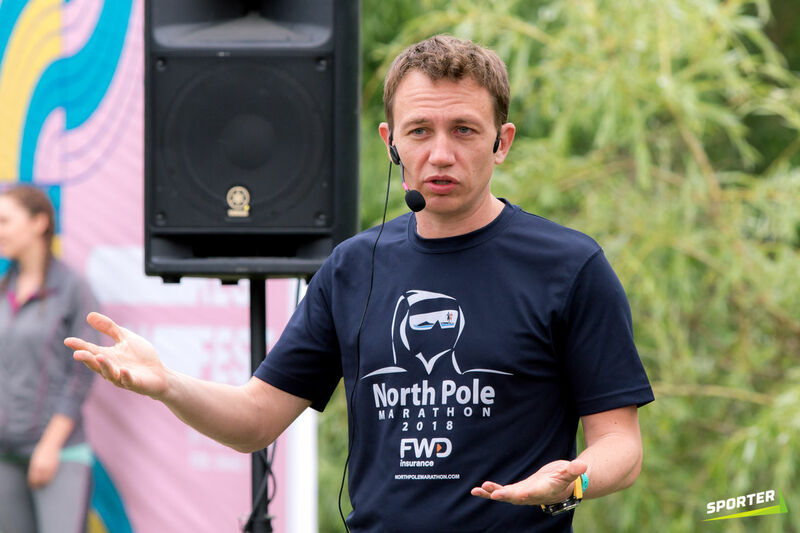 We presently have a network of dealers for Lobster: we have partners in Australia, Belgium, China, Egypt, France, Russia, Ukraine and the United Kingdom“, – stressed Dmitri Volosin. The speaker mentioned that Moldova is the ideal place for a start-up: cheap labour force, lots of breakthrough ideas and competent specialists ready to implement them. At the end of the speech, the conference participants were among the first to see the promising development of the Garage.md project. However, the purpose and name of the presented gadget remained a secret. Dmitri himself promised to reveal the intrigue closer to autumn. 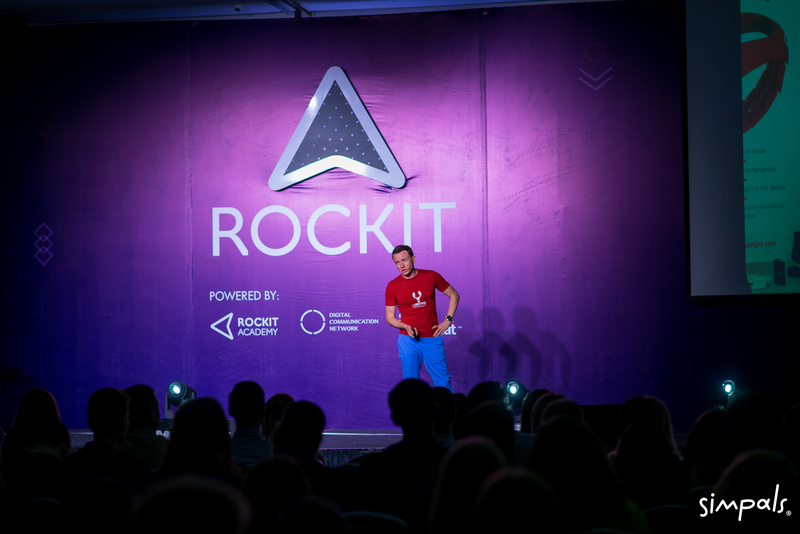 Rockit Moldova is an annual international conference, held for the 3rd time in Chisinau. 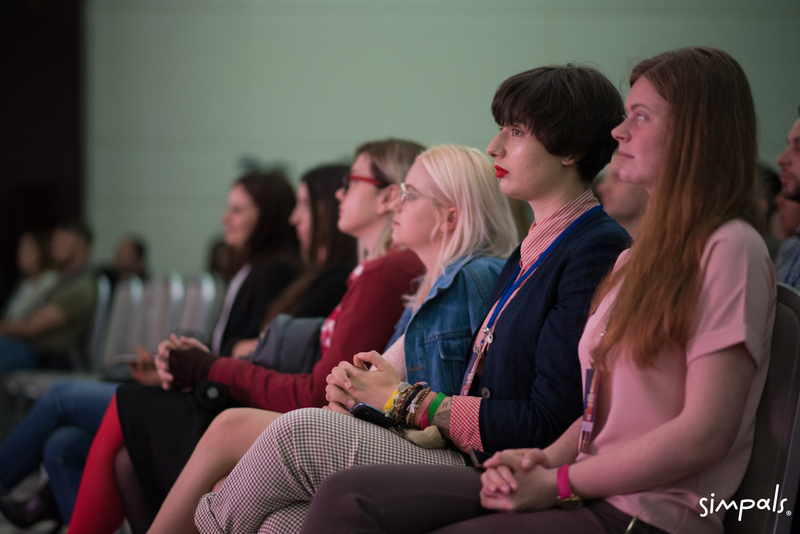 The lineup of speakers included not only entrepreneurs from Moldova, but also experts in the field of technology, innovation and start-ups from Romania, Ukraine, Kazakhstan, Russia, Poland, the Netherlands and the USA. 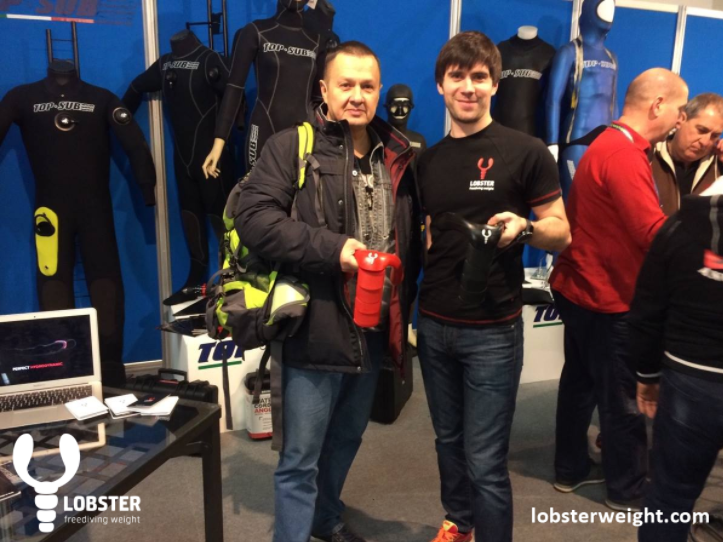 The unique Lobster Weight System for freedivers was presented on the 25-th annual International Exposition of freediving equipment “Eudi Show”, which took place at Bologna, Italy, on 3 to 5 march of 2017. It was possible thanks to our official authorized dealer in Italy – TOP SUB, who helped promote our product on the international market.